Read what our patients have to say about us! CSI has helped patients from all walks of life, see what they have to say below. I could write a dissertation regarding Dr. Terry Weyman but there won’t be enough space to do so. Simply put, coming from someone who had a C5/C6 herniation resulting in a 10 hour surgery, and a recent lower back herniation, it took me a long time to trust. Dr. Weyman has more than earned my trust. He has changed and enhanced my life. Through his work, I’ve gotten therapy and treatments that have allowed me to,at 56, run, jump, train, play and educated me on my spine and nutrition. He is patient, kind and understanding and has shown to me, without a doubt, he is the best, most trusted, competent, reliable, kind, honest and ahead of his time chiropractor…ever! Coming into Dr. Terry Weyman’s office has always has a positive affect of my life. Whether it before my career in Freestyle Motocross or simply getting my body running like a well oiled machine sleeping wrong, Dr. Terry always took the time to make it right. Thank you Dr. Terry for always making sure I am in the best shape possible. I am Lance Coury and Dr. Terry has helped me earn a Gold and Bronze Medal in the X Games. Dr Terry is one of the most experienced chiropractors I have ever worked with. He has a long history working with pro athletes in several different sports, and his knowledge becomes apparent when you bring up any injury or imbalance to him. CSI also has a warm, friendly atmosphere, and after only a few months I feel like part of the family every time I visit the office. I have personally known Dr. Terry Weyman for over 25 years from being in the Health and Fitness Industry myself. I have regularly sent clients and friends to him to have everything from regular body work performed to specific injuries and he has yet to be stumped. So in 2012 l finally had a reason to go seek his professional opinion on a nagging knee injury that began to hinder my Cycling. Dr. Terry worked on me 2 times and I felt a huge difference when I was climbing. I had others work on my knee issue but I never received the results that I had from Dr. Terry. A total of 4 sessions and my knee issue was gone and hasn’t returned. When you go in to see him, ask about the “Laser” it’s truly the coolest device I’ve seen in a long time. It made a believer out of me! My son and I have worked with Dr. Terry for a number of years and will continue to do so for many years to come. Not only is Dr. Terry amazing at what he does, his entire staff is so helpful and friendly. My son is a high school athlete and Dr. Terry understands the need to get the athletes healthy and back playing as quickly as possible and he does everything in his power to make this happen. He also understands the ”retired” athlete and our desire to lead active, yet pain free lives. His ability to reduce pain and promote healing is why we continue to be clients. Thank you Dr. Terry for everything. I would recommend you to anyone. Chiropractic Sports Institute (CSI), not just a sports therapy and rehabilitation center, but a family. June 14th, 2014 is a day I will never forget. I went on a ride with my buddies along Pacific Coast Highway (PCH) when the most unlikely and unfortunate of accidents happened. Both going in the wrong direction, a friend collided into me and sent me to the pavement. Hours later I came to in Los Robles Hospital, diagnosed with a Femoral Neck Fracture (Broken Hip) and in need of major surgery. Post surgery I was looking down a long road to recovery with my surgeon recommending months of physical therapy. Luckily a good friend recommended Chiropractic Sports Institute (CSI) and Dr. Terry. During my first visit at the office I spoke with Dr. Terry and his staff and was pleased with their optimism, positive attitude and family atmosphere. Throughout my therapy, I appreciated his sense of urgency to get me back up to speed quickly and to make the healing process as efficient as possible with all the tools and tricks of the trade. For example, I had a stubborn fracture that was taking longer than expected to show signs of healing so Dr. Terry used his hyperbaric chamber and bone stimulator on me to help initiate the bone growth. A few months later I was back to walking and cleared to start riding bikes again! Not only was I helped in more ways than I could have imagined, but I feel like I’m now a part of a circle of friends that I will have for life. After a life changing injury that would have caused most to be reluctant to ride bikes again, Dr. Terry and his staff at CSI kept me motivated and showed me that where there’s a will, there’s a way. They helped me to get the confidence I needed to get back on the bike and back to enjoying my passion for cycling and the outdoors. I am forever grateful to them! Dr. T has been adjusting me and helping me heal up for many years now. With racing motocross, I’m always needing that extra help to keep me on the track or in the gym. I have seen him for broken bones sprained ankles and small adjustment to get back on the track. Racing would be much more difficult without Dr. T on my side. He’s the man! Dr. Terry is the only person we take are son too. With him racing motocross there has been many times things have gone wrong and Dr. T is the first person I call getting his opinion on what to do and when we will be able to get in to see. He takes my calls no matter what day or time it is. He treats my son just like he would treat his own sons. He understands the need to get back on the track as soon as possible but also makes sure you are 100% to be back out there. I feel very privileged to know him and his wonderful family. I recommend him to everyone I know. Dr. Terry has been providing Sports Chiropractic care to Pepperdine University Student Athletes for more than 10 years. Dr. Terry’s treatment of our elite level athletes is part of a comprehensive Sports Medicine Management plan that incorporates movement based therapy and hands on soft tissue mobilization in an effort to prevent injury, maintain and increase performance and to promote recovery form injury. This plan works in part because of Dr. Terry’s contributions and his belief in the importance of movement based functional rehabilitation. After our athletes see Dr. Terry for an evaluation and/or adjustment he refers them back to our Athletic Training Staff to perform therapy and functional rehabilitation designed to get them back to sport as soon as is safely possible. Dr. Terry uses the latest research and cutting edge technology to deliver the highest standard of care to our athletes and to his patients. We are so pleased Dr. Terry is a part of our Sports Medicine Team at Pepperdine University. After almost 40 years of being a stuntman and racing motocross and all that goes along with this lifestyle I have to say that without Dr Terry in my corner I would not be moving as well as I am or still racing, surfing or any of the things I still enjoy doing at 56 years old. Thank you Terry and all of the staff in your office for always treating me like family as well as caring for my 4 children from 2 years old to 29. Dr. Terry is the best sports chiropractor-hands down! He has played a vital part in keeping me going, both mentally and physically. I can truly call he and his staff, life long friends. Whenever I go to Dr. Terry I know I am getting the best care from a person who has the most experience with many different kinds of athletes. I have tremendous respect for Dr. Terry. He has gotten me through a lot of athletic injuries. Most notably, he got me back on my feet though a very difficult knee surgery where I was told I would never run or ride competitively every again. His patience, kindness, and expertise got me back into cycling and running when all other doctors told me that wasn’t going to be possible. As a triathlete, I have a wide variety of injuries: Shoulders, knees, ankles, lower back, you name it. Whenever I have some soreness, Dr. Terry is able to quickly get me back on my feet and I able to continue training and racing. He also has hyperbaric oxygen therapy that helps with recovery from hard races and efforts. I have used it several times, and it is the best recovery. A million thanks to Dr. Terry! I am so appreciative of everything he and his staff have done to keep me going. I have known Dr. Terry for about 8 years. I met him after my wife took our daughter for treatment without telling me because I was totally against chiropractic care! Well eight years later, I can tell you that neither my daughter or son who are both college athletes would have been able to compete for as long as they have or at the level they have without the healing hands of Dr. Terry . He’s been incredible to my kids and we are forever grateful. Late night calls, emergency visits, and office time on his days off. There is no one better!! I’ve been Dr. Terry’s patient for roughly 15 years. He has witnessed and aided my progression from amateur to professional cyclist. Next to my family, he’s the only person who has encouraged me through all the highs of victory and lows of injury. I would not have survived the lows without his chiropractic knowledge and experience. I have been a patient of Dr. Terry for the last 8 years. His nickname in my family is “Dr. Feel Good” because whenever I have an injury I give him a visit and I immediately feel better. Dr. Terry has played a vital role in my baseball career as he has kept me on the field and at peak performance year round. Chiropractics, aided with the expertise and passion of Dr. Terry, has transformed my baseball career and allowed me to achieve more than I ever would have thought I could. Dr. Terry Weyman has been a friend and valued staff member of Bare Essentials Sports Medicine for close to 2 decades, traveling to events to lend his very experienced hands & expertise to events like USA Taekwondo Nationals & Team Trials, and US Open Taekwondo Championships (international event). 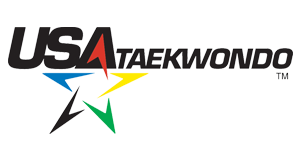 Dr. Terry has been selected numerous times to travel with the USA Taewondo National Team to international events including Grand Prix, and World University Games. Dr. Terry has also assisted with BMX Events including the Vans BMX Invitational at the US Open of Surfing. Bare Essentials Sports Medicine is a company that prides itself on the diversity and experience of our staff from various fields of sports medicine, and Dr. Terry Weyman is a very integral part of our Event Medicine Team. Dr. Terry is also one of our go-to docs for Southern California for our athletes (ranging from martial arts athletes, trampoline athletes or action sports such as bmx, skateboard and motocross athletes) who are injured and in the area. He is one of the top practitioners in his field and we would trust him with any of our athletes at any given time.